Our AD plant is based at Lower Reule Farm in the heart of the Staffordshire countryside. We are capable of treating over 30,000 tonnes of food waste per year and produce enough energy to power 3,500 local homes and businesses. 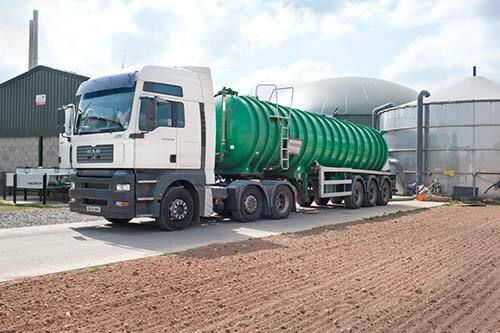 The AD plant was part funded through WRAP’s (Waste and Resources Action Programme) Organics Capital Support Scheme that was designed to help increase capacity in England for diverting food waste from landfill. We were also one of the first commercial food waste AD plants to receive high street bank funding, via the NatWest Bank. The plant is designed to recreate a process that occurs in the natural environment where organic materials are broken down in the absence of oxygen. Cows use Anaerobic Digestion in their stomachs to break down the grass they eat and they have to ‘burp out’ a lot of methane as they do it! We harness this natural process, capture the methane that is produced and generate electricity from it.